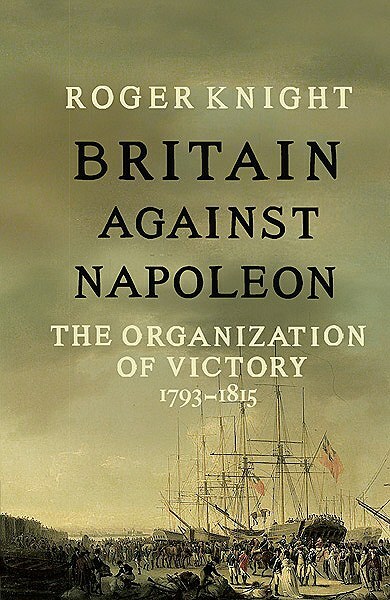 I have Roger Knight’s scholarly The Pursuit of Victory: The Life and Achievement of Horatio Nelson on my reference shelves and certainly consulted it, along with others, for my book VICTORY. Now he’s come up with a broader work – on the wars against the French, 1793-1815. Britain Against Napoleon is a sweeping examination of this fascinating period and has succeeded in providing a unique and authoritative exploration of how the British state successfully organised itself to overcome Napoleon – and how so very close it came to defeat. The Duke of Wellington famously said that the battle which finally defeated Napoleon was ‘the nearest run thing you ever saw in your life.’ Knight’s book shows how true this was for the Napoleonic war as a whole and how the nation was left completely worn out – but triumphant against a regime many times more powerful than itself. Looking past the familiar exploits of the military and navy, Knight pays tribute to the machinery of state and shows how the entire British population was involved. He also points to the role of the bankers and international traders of the City of London who played a critical role in financing the effort and supporting the rest of Europe with subsidies in cash and kind. It’s no small book, running to close to 700 pages, but I commend it to any serious student of the period and I know it’s one I shall refer to again as I continue to pen my Kydd tales. Useful detailed appendices, a glossary, timeline and extensive bibliography are included. ← The Good Ship Vega Needs Your Help! I have just finished a book by the former Poet Laureate,John Masefield, “Sea Life in Nelson’s Time” first published in 1905 and reprinted in the early 1970s.